What are the best gifts for men, especially given the limited choices? Another grilling set, running jacket, or extra electonic gadget? We say “No, thanks”, and so does he. Ever noticed how much harder it is to find the very best gifts for men vs. perfect gifts for women? For women, there are a gazillion categories to choose from! Depending on her personality, favorite categories can include jewelry, makeup, clothes, shoes, home, sports, hobbies or electronics, to name only a few. But, often, the best gifts for men are limited to the categories of sports, electronics and maybe clothes, while electronics and clothes don’t always make the best gifts for men because they can be a little, ahem, “particular” at times. The great news is that at Joyaplenty, with our owner havings sons and a husband, we “get this”, so we’ve solved this man problem with our newest product line, The Joy Tray. It’s ideal for any man in your life because you can customize it for that special guy, whether it’s your dad, hubby, son or friend. Here are just a few of our favorite ways to turn The Joy Tray into that perfect gift for the men in your life. First, let’s talk uses for The Joy Tray. This tray’s the perfect size to collect loose coins on the dresser as a valet tray, grooming items as a vanity tray, or a convenient entry organizer for keys. It can hold loose papers or pens on a desk, the disappearing remote on the coffee table, or that evening cocktail with a small bowl of nuts. Which image would that guy you’re shopping for love to see on the bottom on his very own tray? Best _______ (Dad, Grandad, Son) Ever! 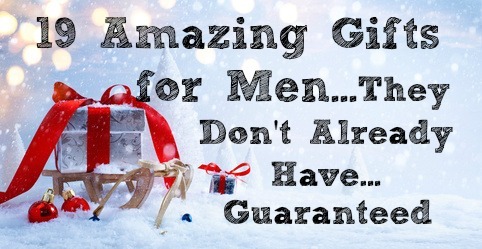 Now you can know for absolutely certain that this will not be another gift that your guy already has! It’s high quality, heavy and hand crafted. Besides, 10% of net profits go to children’s homes in the USA. Do something special this year for those men in your life while helping others. Click here to get your Joy Tray at our Amazon store now while we’re including the free insert training. It’s good to see that the medical community is saying good things about exfoliating…. While almost everyone gives special attention to taking good care of their heart, brain or digestive track, whole body skin health is often overlooked beyond sunscreen and facial beauty care. The fact is that your skin is more than skin deep, but it doesn’t seem that way since we scratch it, scrape it, or burn it, then put a bandage and little ointment on it, and assume all is well, because, after all, it’s only skin. 2) Skin exfoliating unclogs pores. Our pores are like the screen door of our skin. A screen door lets fresh air in and stale air out. If the screen is clogged with dirt, however, it just won’t function properly. Similarly, our pores allow our skin to absorb nutrients. They also help banish toxins from our body through sweating. If your pores are clogged with dirt and toxins, they can’t do their job properly. Exfoliating skin helps unclog pores and, as an added bonus, helps lead to the appearance of smaller pores. 4) Exfoliating increases circulation. Not only does exfoliating help remove toxins from the surface of the skin, it also improves lymph and blood circulation, according to Dr. Beverly Yates, ND, a California licensed doctor of Naturopathic Medicine. In an article titled “Detox Done Right,” by Courtney Helgoe, Yates recommends brushing your skin from the outward extremities toward the heart, which aids in moving lymph fluids (excess fluids and plasma proteins from our tissues) in the proper direction and supports heart valve function. 5) Exfoliation helps prevent certain skin cancers. While exfoliating alone cannot prevent the most dangerous form of skin cancer—malignant melanoma—it may reduce the presence of actinic keratosis—a type of skin lesion that can develop into squamous cell cancer. In an article from The Sun & Skin News, a publication of The Skin Care Foundation, dermatologist Debora Jaliman, MD explains that sun damage can produce abnormal cells on the skin that could develop into pre-cancers or cancers. “Exfoliating may eliminate these cells,” she says. Are you already exfoliating? If not, it’s time to begin. Devote just a few minutes weekly to a whole body exfoliation routine, and you’ll begin feeling and seeing the results immediately. There is no reason to leave your health to chance when you can easily enhance your well-being with something as simple and pleasant as clean pores. Exfoliate away those dry, dead skin cells and say hello to a more vibrant, healthier and more youthful-looking you! To get the Joyaplenty NourishMitt with our Cocoon Silk Facial Exfoliating Mitt as a free bonus, click here now …Hurry, supplies limited.